Mapo Tofu - Learn how to make flavorful, and delicious Chinese mapo tofu with this easy recipe that you can make at home and better than restaurants. What Does Mapo Tofu Taste Like? 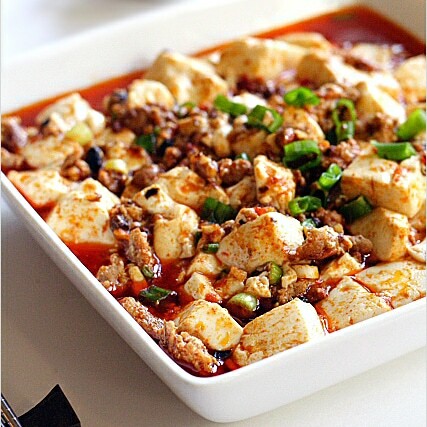 Mapo Tofu is a classic Szechuan dish that features tofu covered in spices and minced meat. It pairs extremely well with rice, and may even be necessary with how spicy it can get. The name literally translates to “pockmarked old lady tofu”, inspired by the old lady that made this dish. The more you know! It has now become a staple in Chinese restaurants, with many ordering it for takeout. However, did you know how easy it can be to make it at home? Recently, my colleague asked me for my Mapo Tofu/麻婆豆腐 recipe. He has just gotten into cooking and wanted to try making it at home. I went through the recipe with him in great length. But he ditched the idea of making the tofu from scratch. It was too complicated and troublesome, he said. He bought a packet of instant Mapo Tofu mix instead. Is Mapo Tofu/麻婆豆腐 so hard to make at home? Does the long list of ingredients appear intimidating to a novice home cook? I asked myself. The answer is–unfortunately–yes. Mapo Tofu - the best Chinese tofu dish. 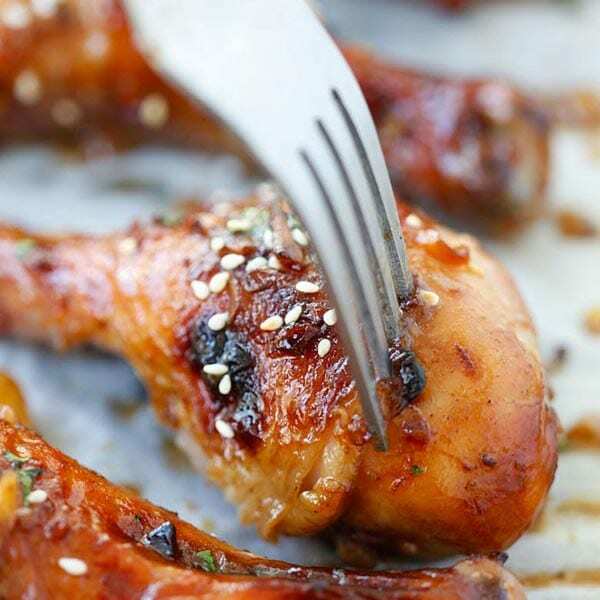 Learn how to make it with this super easy and delicious recipe! Cut the tofu into small pieces, drain the water from the tofu and set aside. Heat up a wok and pour in the cooking oil and chili oil. Add the chopped garlic, ground pork, spicy bean paste and stir-fry until the pork is half-done. Then add in chili powder, soy sauce, fermented black beans and stir-fry until aromatic. Add in the tofu and water; stir gently to blend the tofu (don't break them) well with the sauce. Lower the heat and simmer for about 3-5 mins or until the sauce thickens. Add in the roasted Sichuan peppercorn powder and chopped scallions. Gently stir and blend well. Dish out and serve hot. 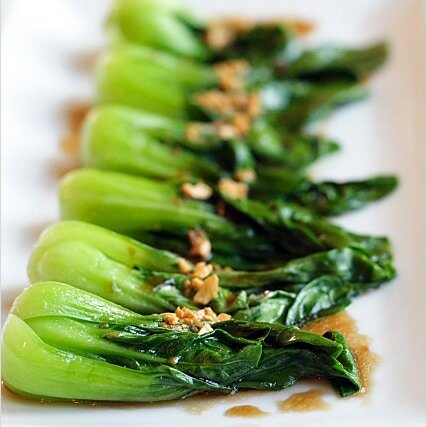 To tone down the numbing spiciness of this dish, use less roasted sichuan peppercorn powder, chili powder, and chili oil. Adjust them to fit your palate. Mo Po Tofu (麻婆豆腐) literally means "Pock-Marked Old Lady Tofu" (I know!). You can read about the origin of this dish here. The Ma Po Tofu served at Chinese restaurants in the US has been adapted to appeal to local taste--the level of numbing spiciness is largely toned down. Thanks so much for this recipe Rasa! When I was in college, I used to buy the packet mix and always wished I knew how to make the real thing. I’m gonna have to give your recipe a try. I love this dish! In Hawaii, they also serve this over ramen with the soup! Rasa, nice to see this authentic recipe. It validated what I make which is very similar, but I keep it vegetarian, using minced tofu instead of pork. this looks like a lovely dish. The long list of ingredients is not intimidating but all that chili is. But then again my lips can use that bee-stung look ;). Mmmm, mapo tofu ramen…haven’t had that in a long time! We make a version out of the “Cook Malaysian” cookbook by Lee Sook Ching that uses tau cheong (brown bean) paste. We also cut out the chili sauce so the kiddies can eat it. I don’t know if I can handle authentic Sichuan-style mapo tofu. our experience with tofu in KL is mostly of the raw/fresh kind with minced meats/salted fish with spring onion leaves or fried garlic toppings or sizzling Japanese tofus but generally this dish by itself as a meal is often forgotten in most eating out meals , maybe people consider it soft and plain and generally must go with other meats or veges as a supplement. Tho of course tofu is king of the vegetarian meal ! Oh no, sichuan peppercorns are near-impossible to find where I am. I’ve even considered asking chinese restaurants where they source theirs! * also, I’ve never seen fermented black beans before.. I think the real “problem” for the average home cook isn’t the long list of ingredients – in fact, that wasn’t even that long of a list. The problem for most of us, is that those are not the ingredients we have on hand nor are we used to them. 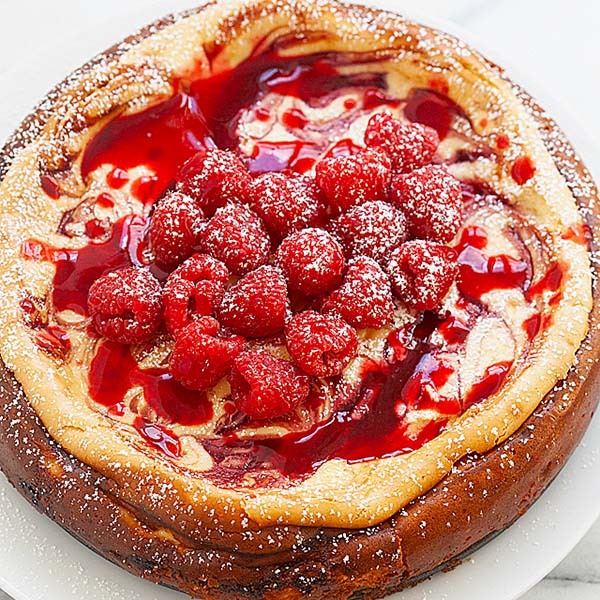 Most of us boring American have a ton of ingredients on hand – personally, I always have flour, sugar, baking powder, salt, vanilla, many vinegars, olive oil, oregano, cumin, bay leaves, red pepper flakes, cayenne pepper, cinnamon…well, the list can go on. But, I just don’t have the majority of the ingredients you list, and I am not familiar with them. For instance, I know exactly how much red pepper flake I like in my homemade spaghetti, but spicy bean paste? No clue. All I am trying to say in this long, drawn out response is that we typical Americans are just not used to Asian cooking. I have tried it, but have never become comfortable with the ingredients. So, while your list isn’t so long or complicated, it can be intimidating to someone who isn’t familiar with using them. However, only practice and tasting can get us to that level of comfort with something new. I am willing to put in that effort. So…thanks for posting this recipe. my sichuan friend leifang made excellent ma po tofu, using chili oil and sichuan peppercorns she roasted herself, plus d garlic, ginger etc.then she surprised me by whipping out a pkt of mapo tofu mix she’d brought back fm sichuan. tt’s when i realised why no matter how i try i never get THAT sichuan taste, n i too use d mix now! My boyfriend is vegetarian but I love this dish with rice. How can I make this Vegetarian? marinaded in a little sesame oil and soy sauce prior to adding…. I absolutely love Ma Po Tofu and I’m so glad to have your tongue-numbing recipe. For those who are accustomed to Asian ingredients, this recipe is not at all complicated. I have most everything in my pantry. I do, however, substitute ground turkey for the pork when I make it at home. I just love this dish. Tofu, and it’s hot! Yum! I love super spicy tofu dishes and am definitely keeping this recipe to try out the bee-stung look. Thanks for posting it! I once had this at an authentic chinese restaurant in Flushing,NY. I thought I was having an allergy when I felt my mouth go numb and the tingling set in. Thanks so much for the recipe. That doesn’t seem too scary to me. But it does sound scrumptious! ooh you believe it …i just made ma po tofu yesterday …(hehe and me too i used the ready Lee Kum Kee packet) along with crispy sichuan Peking duck at home !! No, it doesn’t look that complicated :) Is the silken tofu the same type as the Japanese tofu? The only ones I get here are either firm tofu or japanese silken tofu which is very soft and at the slightest stir, it breaks up. Ma Po is one of my favourite home cooked dishes. I use beef mince instead of pork. But I find that turkey mince gives it a more delicate flavour. BTW, I “cooked” Sashimi for the first time today. I’m really excited. All you need is very fresh fish and a very sharp knife! Absolutely beautiful! I just love your photos! 1st time here. I’m a fellow Malaysian iving in Switzerland. U have a super duper site. Keep up the great job. I LOVE this dish. I like mine only a little spicy which is a problem as most restaurants serve it way too hot for wimpy ‘lil’ me. I’ll have to try your recipe but bring the heat down. I am nowhere near as hot and spicy as you are (heh heh heh). It’s so sad that your friend succumbed to buying an instant packet. Sigh. Goodness but that looks delicious! We love using tofu in our kitchen, though I’m always on the lookout for new recipes to try and/or modify for our vegetarian tastes. 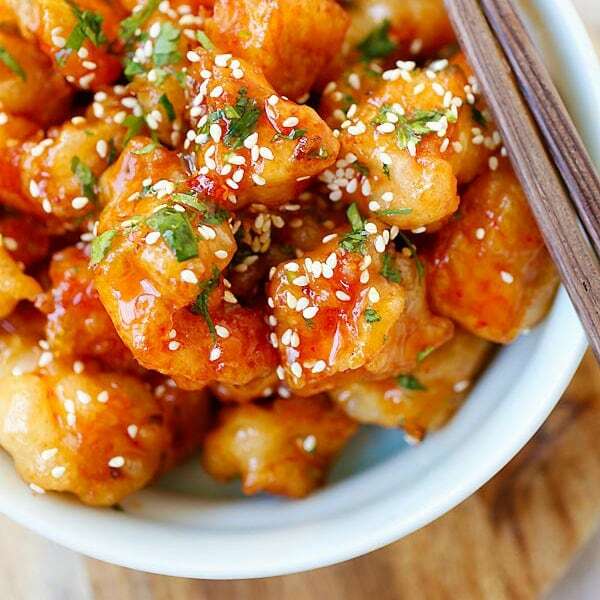 Sweet & sour tofu has been our fav of late, but your recipe looks too good to pass up. Hope you don’t mind my tinkering! Ma Po Tofu is one of my favorite dishes. Yours looks really good, though it looks a bit hotter than the one that I make. Your story sounds familiar. Recently a non-cooking friend of mine asked me for my lemon chicken recipe, he was going to try to make it. At first I was so excited, then I found out when he actually tried making it he didn’t have half the ingredients and it didn’t work out at all. I was so sad! Evolvingtastes – yep, you can make it a vegetarian dish easily. You can also try adding finely chopped carrots and shitake mushrooms too. Nate 2.0 – tau cheo will work too. I love Sichuan food because of that spicy kick, but mine is considered toned down…you should see the real Sichuan Map Po Tofu, with crazy oil! LOL. TeamBSG – you are right…I haven’t had Ma Po Tofu in Malaysia…only know this dish after I came to the US. Manggy – where are you located? Terri – the mix is really not so bad. They are as good as it gets, but when you make everything from scratch, you just have that satisfaction when you eat it. Hehe. Anh – cool. I look forward to hearing your verdict about my recipe. Anonymous – you can use dried shitake mushrooms instead. Try it and let me know if you like it. Hilda – I should have posted my bee-stung lips after eating this dish. But that would scare everyone away I swear. LOL. 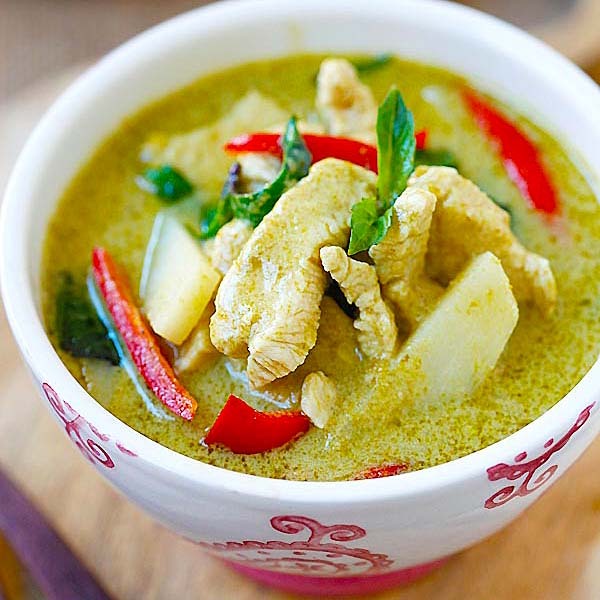 Kiriel – so I take it that you like spicy food. Cynthia – stop bookmarking…make it for real. Hehe. Cooking Ninja – yeah, it’s the Japanese tofu. Yeah, that’s why you can’t stir too much. You can also use the regular soft tofu, it will work, but I like silken tofu. Claude – yeah, you can eat my blog. Hehe. Aria – thanks for your kind comment. Yes, must try! Ari – yeah, you can use dried shitake mushrooms or diced carrots instead of meat. Good eating! Kevin – I love it hot. LOL. Haha, sounds like something I would do if it looked too intimidating or the list was too long.I love mapo tofu but only ever ordered it in restaurants, I’ve never even seen packet mixes for it here. Yours looks so yummy! Students in culinary colleges are being trained in culinary arts. They learn from the basics of cooking to advanced level cooking techniques by professional chefs. There are many colleges that provide internship to their students. “That Sichuan taste” that someone noted above is usually a result of using the correct variety of 辣豆瓣酱. In particular, look for 郫县豆瓣. thanks, nuce site…this is a pretty standard recipe…sorry your friend thinks it is too complicated…he is really missing a good dish! I prefer to add about 2 tablespoons of fermented black beans and I also prefer Ma Po Dofu over noodles/spaghetti rather than over rice. I’ve been making this for about 3 years now. Love it!!! One of those dishes that feels oh so good in the winter when it’s cool & cloudy. Perfect texture, spice, & porkiness!!! 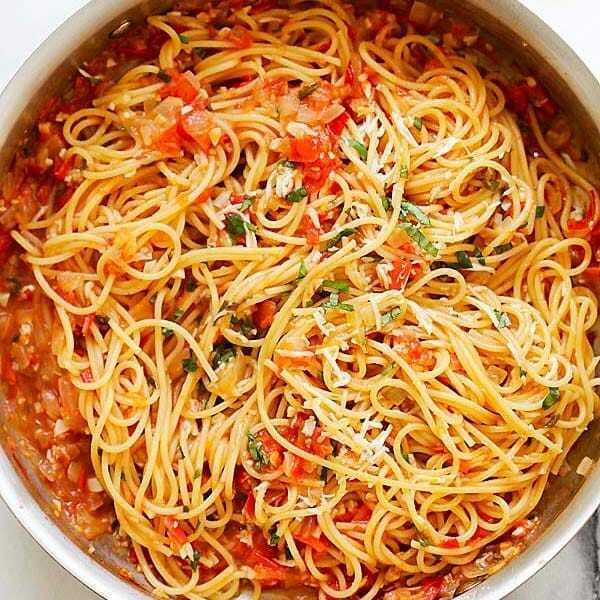 Yes, this is a simple dish that does a lot. My hubby made Ma Po Tofu with your recipe tonight and it definitely rivals my mom’s when she used to make it from scratch. It was simply delicious and brought back memories of my childhood. My hubby went a little overboard with the chili and made it too spicy for his taste but it was bee-stung swollen lips for me. I love your blog; your blog and Jen’s (userealbutter.com) are probably two of my favorite blog. I live in China and I’ve been looking for an authentic Ma Po Tofu recipe for ages. I tried your recipe a few days ago, and it seriously rivals the Ma Po Tofu we get in the many Sichuan restaurants in our city. In fact, it’s better, since it doesn’t have loads of MSG! 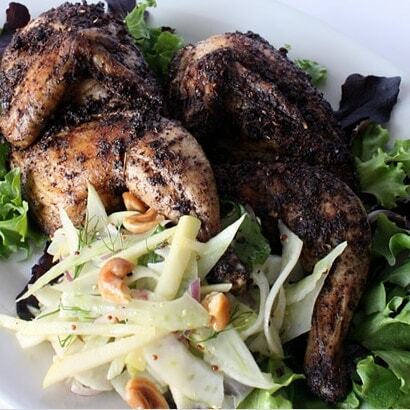 I put a shout-out to you on my blog for this recipe – thank you! I got the peppercorns and am new to all these cooking terms. Just wondering what you meant by roasted? Do i just throw them in a pan and stir it around? Yes, you can cook them in batches, that would be the safe bet, and yes, the ratio should be the same. I tried making Mapo Tofu using this recipe, and my first attempt was a disaster. I say this because the recipe calls for three tablespoons of Spicy Bean Paste. On my first attempt, it was way too salty. I thought there was something wrong with the recipe, or one of the ingredients. I had to add one more block of tofu and a whole cup of water to offset all that salt. On my second attempt, I only used one tablespoon of Spicy Bean Paste. This time, it came out perfect. If anyone plans on trying this recipe, you should be careful with the Spicy Bean Paste, because I’m pretty sure each brand has its own taste, and the one that I have just happens to have too much salt. Jay – thanks for your comment, yes, different brand has different salt level, it’s best you taste it. Some reader have tried this recipe and had wonderful results. I love this dish and attempted to make it at home the other week and it didn’t turn out too great! I think the hardest thing for me would be to find the “right” bottle/ can of Sichuan bean paste. A local Asian store offers a wide variety, and to some extends this is awesome! However, I found myself starring at at least 30 something plus bottles/ cans and finally I got dizzy and made a poor choice! The bean paste bottle I picked up had a strange paste to it! Hence my dish didn’t turn out as I had hoped for! But, the quest will be continued! Love your site and your continued generosity! Adelina, Ma Po Tofu is my hometown dish and it’s actually very easy to make. To cook the authentic Ma Po Tofu, you have to choose the right Sichuan spicy bean paste. The best is called Pi(pea) Xian Dou Ban (郫县豆瓣)- a traditional spicy bean paste made in the suburb of Chengdu, the capital city of Sichuan. Before dishing out, blend some cornstarch with water, slowly pour it into the wok while stirring. This way the sauce is thickened. After put the Tofu in plate, add the Sichuan peppercorn powder and chopped scallions on top. Stir and serve. BTW, the best Sichuan peppercorn is from another county near Chengdu and it’s called Han Yuan Hua Jiao (汉源花椒)。Also the ground pork can be replaced with ground beef. The original recipe back to hundreds of years ago actually used ground beef. L – thanks so much for your information. It’s great to learn from the native! Thanks again! Great recipe! I prepared with extra lean ground meat(cow) instead of pork, and it turned out perfect! Thank you so much for sharing. This is similar to one I learned whilst doing an apprenticeship in a Chinese restaurant. In my view, you can’t really have enough of the Szechwan peppercorns!! I add rice wine to help thicken it, and thus find that the recommended cornflour I see in many recipes is not necessary. The beauty of this dish is that in summer, it lifts jaded palates, and in winter, it’s the most warming of soul foods. Whoever invented it was a genius. You’re most welcome. I’m glad you enjoyed it. Hope the other recipes here serve you as well. I spent a few months living in Buenos Aires, and my apartment-mate was Taiwanese. So, of all places, the first place I had Mapo Tofu was in Argentina! It blew my mind, and I think I’m finally going to make it myself! I LOVE my Sichuan foods–hot and spicy, please. I have a question; when you call for chili powder, do you mean the basic chili powder in the US that smells like it’s made from dried guajillo or maybe ancho chiles, or do you mean powedered hot dried red chiles, such as Japonese chiles? Dried chili powder, but I use Korean ones. It tastes the best. I have indian kashmiri chili powder will that work? I just wanted to let you know i tried your Mapo tofu and it was FANTASTIC !! I wanted to let you know that i have linked your site on my website. I mostly make Korean cuisine and would like to share my recipes with you someday. Thank you so much for sharing your recipe. Great Job, great site. I will be trying out your other great recipes. I will keep you posted. Thanks Rene glad you like the mapo tofu recipe! In search of the ultimate Mapo Tofu recipe, I’ve tried four other recipes, and while they were good, I find myself coming back to this one again and again. I’ve made this Mapo Tofu recipe three times already and it’s DELICIOUS!!! My family and I love this! It’s not as soupy as the picture above, but this is only my second attempt at authentic Chinese, so I’m still learning. Next time I’ll add more of the actual oil, and maybe even some vegetables with the meat and tofu. I’ve made this recipe countless of times for my husband and it’s become his all time favourite dish. Sometimes he requests for it twice a week. I made it for my mum and it too has become a staple at my parents’ place, my dad always asks for this. Of course, I had to switch out the pork with ground beef but it’s really delicious. Thank you for writing a family favourite. Thanks for your sweet comment am glad your family love my recipe. Thank you so much. I have been looking for a recipe that echoed the Mapo Tofu I had in Chengdu. This is it. Fortunately, living in San Francisco, I can get all the right ingredients – I think I now have about a gallon of Szechuan peppercorns. Thank you and brilliant. And to think I would not even think of tofu before. Also this recipe, opens the door to other ideas with tofu. One question, I have also seen szechuan peppercorn powder ground with salt – have you come across that? I made some and cannot stop tasting it – would be great on roasted peanuts or other items that are salted. And you could reduce the overall salt content. Thank you a lot for this fiery infamous Mapo tofu ! Best recipe on the net ! Bee, what kind of spicy chili bean paste do you use? I use Pixian, but I wonder if there is a better one. Pixian is very salty, I used just two T but it was still not edible. I think Pixian douban is a key ingredient for this dish. I also have the Pixian Spicy Bean Paste, but it is too salty, so I can’t use as much of it as said in the recipe either. However, I still want it too be very spicy. What can I do? I have a 15-year old son from Chengdu, adopted a little over a year ago. He still misses his Chengdu foods, though I try to make them. Can you tell me what I could substitute for the fermented black beans? I can get a can of regular black beans; is that the same thing? I don’t live near an Asian grocery store. If you could respond fairly soon, that would be great! Regular black beans will not work. Try http://asiansupermarket365.com, they might have fermented black beans. I absolutely love your Nonya recipes. Several year of living in Singapore with meals regularly taken at gourmet place as Orchard Rd Car Park, Albert Street and Newton Circus. Whenever I can I try to duplicate those flavors this leads me to a questin: when you call for “chili powder”, what exactly do you mean”. There are several choices: chili powder as is used in Mexican cuisine (usually a mix of long red, ancho & pasilla chilis; cayenne and straight red pepper powder from dried long reds. In the quantities called for in most Asian recipes cayenne is way too much, the Mexican powder probably does not offer the right flavor leaving only red pepper powder or so it seems. I’ve been wanting to make Mapo Tofu for ages, and I finally decided it’s time to put some action in it. Your recipe appeals to me most, but I don’t quite understand how much a block of tofu weighs. I buy mine fresh at the Asian supermarket close to where I live, and since I live in the Netherlands, it’s not the first time I’m having a hard time understanding foreign measurements on the internet.